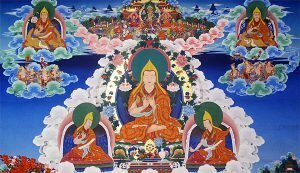 An in-depth study of Lama Tsong Khapa's Great Treatise on the Stages of the Path to Enlightenment. The Lam Rim is the collected teachings and practices of the Buddha presented in methodical way, in the order we are to practice them if we want to reach enlightenment for the benefit of others. We have a new format this year! Spend a relaxed morning enjoying two guided meditations to relax and revive! The first is a short mindfulness and breathing meditation, including settling the posture. 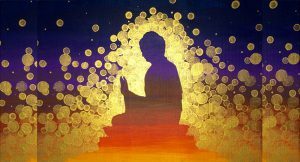 After a short break enjoy the main meditation of guided visualisation and chanting purification with the Buddha. Join us for chai tea together in reception afterwards. Restricted workshop for those newly holding an HYT commitment, and who feels a little lost or out of their depth! Review the unique characteristics of HYT, how they differ from other tantras, and how we can incorporate our various practice commitments into a coherent daily practice. Practice using the bell and dorje, as well as the damaru, inner offering and other ritual implements that carry great meaning.